The first round didn’t last long, in fact, it may have been the quickest first round in OHL history. There were five first round sweeps, and the other three series ended just one game later. That means there were just 35 first round games played, surpassing the previous low of 36 during the 2008 playoffs. It’s also the highest number of first round sweeps ever, the 2007 and 2008 post season both had four first round sweeps apiece. The predictably quick first round wasn’t exactly a surprise, with the four top teams in both conferences coming in as overwhelming favourites. Ottawa, London, Saginaw, Guelph, Sault Ste. Marie, Oshawa, Niagara and Sudbury all finished the season with more than 90 points. 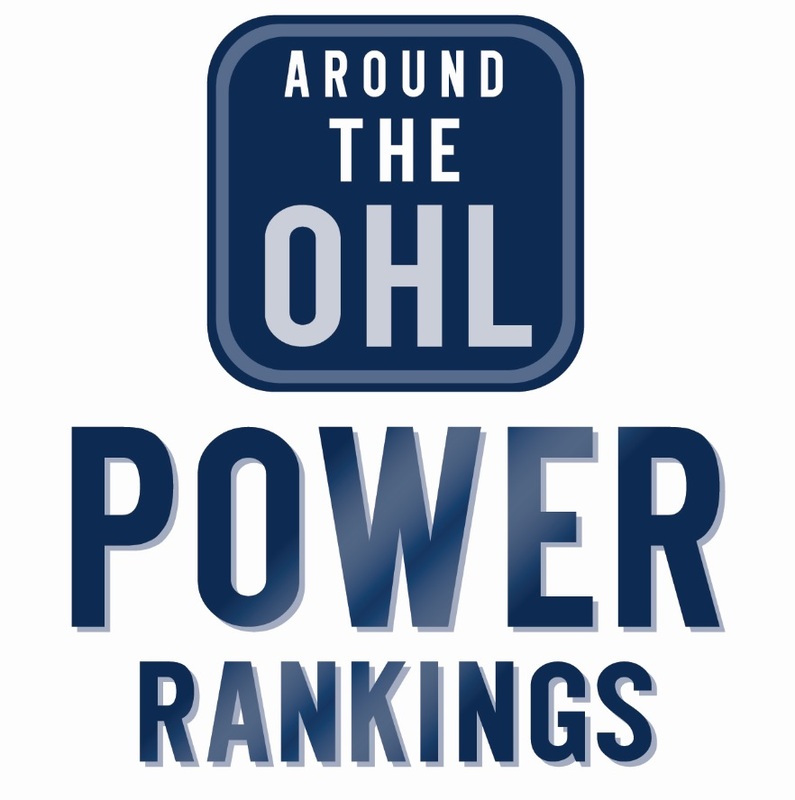 Ottawa and Hamilton had the largest point differential, with the league-leading 67’s finishing the season with 43 more points than last year’s OHL champions. The closest was the 18 points separating the fourth and fifth seeds in the west, with Guelph still coming out on top over Kitchener in four games. On average, there was a difference of 29.1 points between first round foes. Last year, four teams reached 90 points, and just one team did so in the Eastern Conference. While the year prior to that no team in the east reached 90 points while the west had five teams do so. This makes for some much closer match ups in the first round. The first round has averaged 41.9 games over the last ten seasons, far more than the 35 games this year. Eight of the last ten playoffs had more than 40 first round games. As far is this year, Ottawa, London, Saginaw, Sudbury and Guelph all completed first round sweeps. The Spirit will play in the second round for the first time since 2012, when they also beat the Sting in an opening round series. The Spirit have never made it past the second round and will have to get through Sault Ste. Marie to do so. Good West Division match up. The London Knights are facing the Guelph Storm in the second round, both are coming off first round sweeps. It has also been six seasons since the Ottawa 67’s reached the second round, following four straight first round defeats. They will face a Sudbury Wolves team that’s reached the second round for the first time since 2013, but you’d have to look back much further for the last time they’ve won a game in round two. After being swept by Belleville in 2013, and Mississauga in 2011, the Wolves haven’t won a second round game since 2007. They ended up losing to Plymouth in the OHL Finals that year. Oshawa continued their recent post season success over Peterborough, eliminating the Petes for the seventh straight time, in a string of series victories that dates back to 1997. The Generals will now play Niagara, who got by North Bay in five games. After such a quick first round, things should get much tighter from here on out. All eight of the remaining teams have a shot at reaching the conference finals. Now if you think the start of this post season has been weird, lets hop in a time machine back to 2008. As mentioned earlier, there were four sweeps and just 36 games played during the first round. Further to that, of the 15 series that were played that post season, only two lasted longer than five games. One of those series was the final between the Kitchener Rangers and Belleville Bulls, which Kitchener actually left three games to none before Belleville came back to force a game seven. The Rangers eventually won that game seven. As bizarre as the 2008 playoffs were, the entire post season only saw six sweeps. With five sweeps in round one of the 2019 playoffs one would think we could surpass that mark. With how close the eight remaining teams are we may not see another series sweep from here on out. Tags: Guelph Storm, Hamilton Bulldogs, Kitchener Rangers, London Knights, Mississauga Steelheads, Niagara IceDogs, North Bay Battalion, OHL Playoffs, Oshawa Generals, Ottawa 67's, Owen Sound Attack, Peterborough Petes, Saginaw Spirit, Sarnia Sting, Sault Ste. Marie Greyhounds, Sudbury Wolves, Windsor Spitfires. Bookmark the permalink.